Now that the dust has settled on the 2018 Annual Cup Match Classic that saw the Somerset Cricket Club defeat the St. George’s Cricket Club by an innings and 34 runs, www.islandstats.com can now bring together some facts. Somerset openers Terryn Fray and Chris Douglas now have their names on top of Cup Match Partnership Record Books with a record first-wicket partnership. The pair put on 153 runs, which topped the 143 run partnership between St. George’s pair Wendell Smith and Arnold Manders back in 1991. The Inning and 34 runs victory by the Somerset Cricket Club was only their 3rd, while the St. George’s Cricket Club have registered 6 of their own. 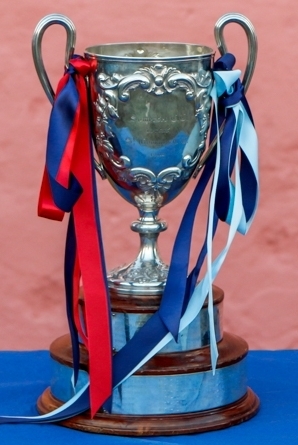 Somerset Cricket Club’s victory was the fifth largest win in Cup Match history. A ninth wicket partnership between St. George’s Cricket Club pair Onias Bascome and Zeko Burges of 97 runs fell one short of the best partnership for that wicket by one run, which is held by another St. George’s pair Allan Douglas Sr. and Clarkie Trott who scored 98 back in 1990. A total of 722 runs were scored over the two days, in 184.2 overs, with 29 wickets falling. One century was made, with Onias Bascome from the St. George’s Cricket Club scoring 101, two Somerset Cricket Club batsmen scored in the 90’s as Stephen Outerbridge scored 92 and Terryn Fray scored 90. Somerset Cricket Club’s Dion Stovell was the top wicket-taker claiming 7 wickets, with Malachi Jones took 5 wickets.